Cover Story : “Dehumidification in Pharma Industry: Importance of humidity Control in Pharma Industry"
Dear Reader, first of all, A Very Happy New Year to all of you!! Success only comes when we keep on improving our faults & implementing tips & suggestions for our betterment. 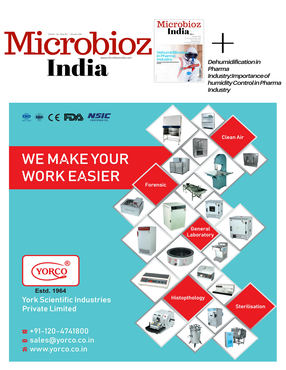 In the year 2018, we received great support & strength from our readers, Subscribers & everybody who is a member of Microbioz India. January, the very first month of the year we have come up with the cover story “Dehumidification in Pharma Industry” this topic is focusing on what’s the role of dehumidification in the pharmaceutical industry & what’s the importance of controlling the humidity in R&D & Pharmaceutical sectors. 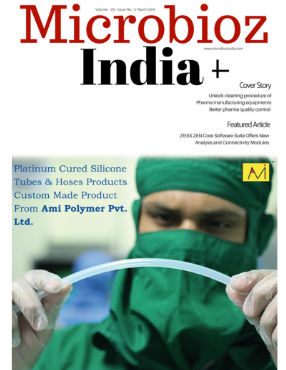 Following to this our featured article is focusing on the rubber industry, “Metal Detectable silicone rubber” as this product is high in demand and usually covers multiple industries so it's basically –“A unique solution to multiple industries”. Buckle up, Mylan, another epinephrine injection is in town—and its sticker price is lower than your own generic EpiPen's cut-rate cost. BioTek Instruments introduces their next generation Epoch™ 2 Microplate Spectrophotometer with added features that enable multiple conveniences for performing absorbance measurements. It has always been known that certain processing methods require control of the environmental conditions in terms of both humidity and temperature, and conventional heating and ventilation systems have in the past been suitable.